This site offers you information on custom services that I offer both personally and as the general manager for Cruzan Creations. You can email me at jah@ganymedestx.com or call me on my cell 340-244-5236 for more information. 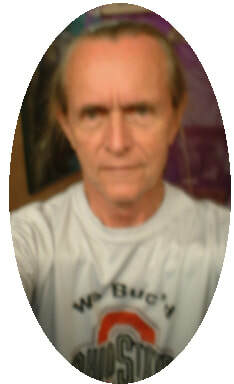 I've been a resident of St. Croix now since 11/16/95, arriving here from Defiance, OH, the day after my 51st birthday. I have been north of Puerto Rico just once since then, in March 2011, and don't intend to do that again the rest of my life. I moved here for the weather, and that is what keeps me here, hehe. Can't take that constantly changing northern weather. I am an Ohio Medical Board licensed massage therapist and was involved in AIDS massage therapy for about four years prior to moving to St. Croix, including as the MT for a research project at the Medical College of Ohio in Toledo. From 2001 through 2016, I volunteered as a sports massage therapist for the Ironman 70.3 triathlon and was the Sports Massage co-ordinator for the last nine years of that volunteer work. I have spent part of my nearly 23 years working in the newspaper advertising and publishing industry, first for the St. Croix AVIS, then the Virgin Islands Daily News, and finally my own "always free, positive, and non-political" monthly publication, St. Croix Happenings. I took over as general manager of Cruzan Creations in September, 2007 and am now also the property manager/designer/general contractor for the 1.7 acre property that the owner of Cruzan Creations bought in 2011. Come visit our island any time and stop by Cruzan Creations/Life in the Left Lane®/Crucian Rum Cakes in the Pan Am Pavilion, 1102 Strand Street, Christiansted. Check out the photos below. My photo is from June 2015. The Who Am I? photo is a crop of the Mingo Chief Logan, who supposedly is my ancestor on my maternal grandmother’s side.